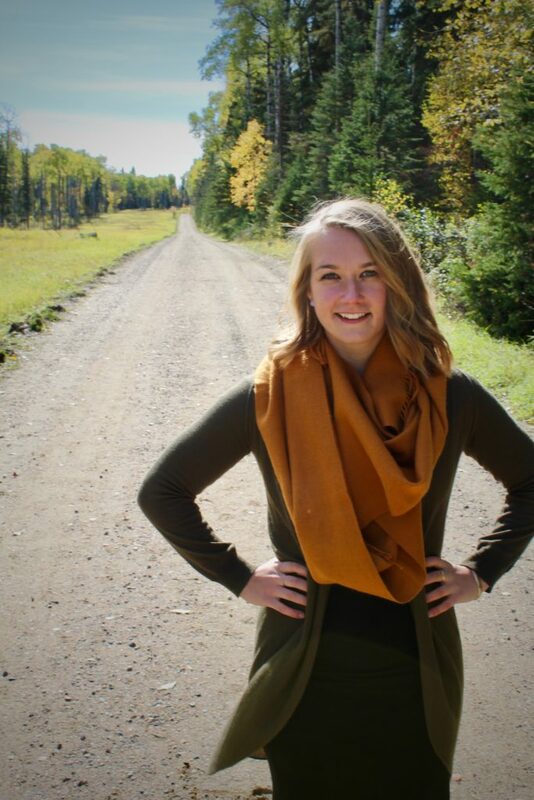 Please welcome Rhea Lewandoski, a registered dietitian from Saskatchewan, Canada, to the blog today! She’s sharing her knowledge of produce, gardening and what to do with your excess garden veggies. I am somewhat new to gardening and have found a love for the work and anticipation that comes with it. Those of you that garden know that this process takes patience and hard work. This year, I used up as much produce as possible in meals, snacks, baking, gifts for friends, but yet I was still left with an abundance of select vegetables and fruit. The last thing I wanted to do after all that work was let my produce go to waste. Some plants just grow more than we can eat. This year I was shocked by my bountiful garden and felt I couldn’t keep up. My super growers were raspberries, spaghetti squash, tomatoes, cucumbers, beets, and crab apples. I was forced to use my creativity. Below is a list of my top 5 ways to save your garden produce from the trash can. This may seem obvious, but there are some tips and tricks to make this work. Vegetables you can cut easily when raw – tomatoes, zucchinis, beets, raspberries, herbs; freezing raw is a great way to go. You will want to grate or cut your produce, separate them as you wish (by vegetable, mixed stir fry bags, smoothie bags) and freeze them. The trick here to avoid having one big frozen block of produce is to lay the cut vegetables on a baking tray and freeze them prior to placing them in a bag or container. Depending on the type of vegetable they will store from 3 to 8 months. Pre-cooking prior to freezing is my go to for excess spaghetti and butternut squash or any other vegetable that is hard until cooked. It’s very simple. I bake the squash as I would normally, dice or scrape the squash and lay it on a baking tray covered in parchment paper. Once the squash is frozen, place into bags or containers to have for ready to cook dinner staples. Don’t forget to label your containers with names and dates! Anyone who plants a large garden should own a dehydrator. It makes getting rid of the extra produce so simple. I use my dehydrator mainly for crab apples and beets to make beet chips and dried apples. The recipes are simple and take very little time to prepare. The next recipe on my list to try is sundried tomatoes. Canning can be a daunting task. I always viewed it as a time consuming or all day process, but it’s really not. I have turned my extras into salsa, pickled beets, sweet and dill pickles, and jams and jellies. I started by learning the basics of canning and use the water bath (big pot) method. If you’re learning how to can follow a step-by-step recipe with a visual i.e. video or pictures, until you get the hang of it. Eventually you will be able to add your own spin on flavours and techniques. Composting is great for produce that didn’t grow well; has already gone bad; or any part of the produce you are not going to eat. 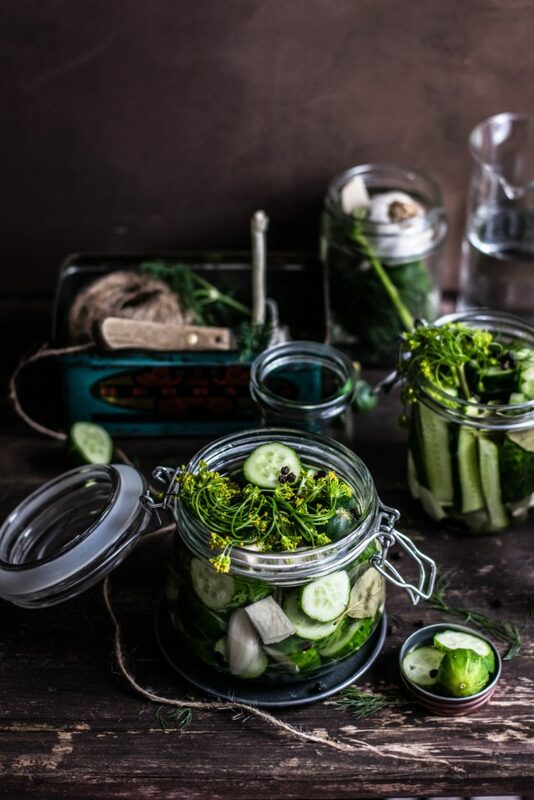 You do not need to be fancy when it comes to composting! Grab a bucket, knife, compost worms and some soil. I used a large plastic bin and made holes on all sides and placed this bin in my yard. I started the process with soil, worms, grass clippings, and cardboard. I continue to place all of my compostable produce in the bin throughout the year. This compost can be mixed into the soil of your future garden to help it grow. Now, if you have already tried the above or are just sick of eating the same produce, many non-profit organizations like the local food bank, soup kitchens or any other program in your community that involves food may take your extras! 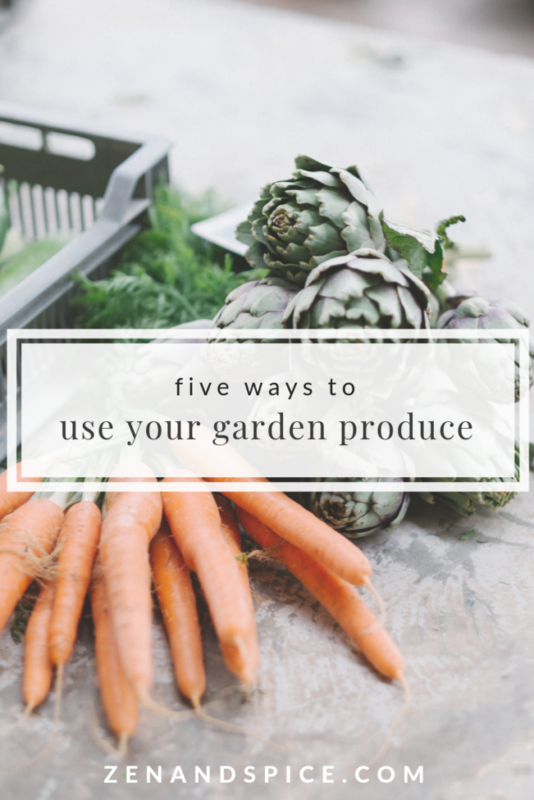 Instead of your produce going to waste give them to someone who doesn’t have the means to enjoy fresh garden produce. Some organizations will even come pick your produce for you! Give your local non-profit organizations a call. Rhea Lewandoski is a registered dietitian from Saskatchewan, Canada. Her personal interests and spare time are filled with hiking, sports, cooking and gardening. She currently works as a private practice dietitian at a multidisciplinary clinic and as a Primary Nutrition Tour Leader at Save On Foods. She is passionate about the field of nutrition because everyone is exposed to it, AKA everyone eats. Her career goal is to steer individuals away from diet culture and to teach them to love food, not fight it.